For the first time in the history of the franchise, it appears this year’s Call of Duty game will be shipping without a campaign. After all, video games in the Call of Duty mold (such as Battlefield 1 and Titanfall 2) have always featured a cinematic single player campaign, even if this was usually only a couple of hours long. But a major company like Activision now changing its strategy with its golden goose franchise would be a major shift in the industry, and will likely lead to other big players revising their agendas and perhaps consider dropping single player or not investing as many resources in it from now on. Of course, this is only a rumour for the time being, and we’ll have to wait until Call of Duty: Black Ops 4 reveal on May 17 to get the official word from Activision and find out whether single player is gone for good in this year’s Call of Duty instalment. 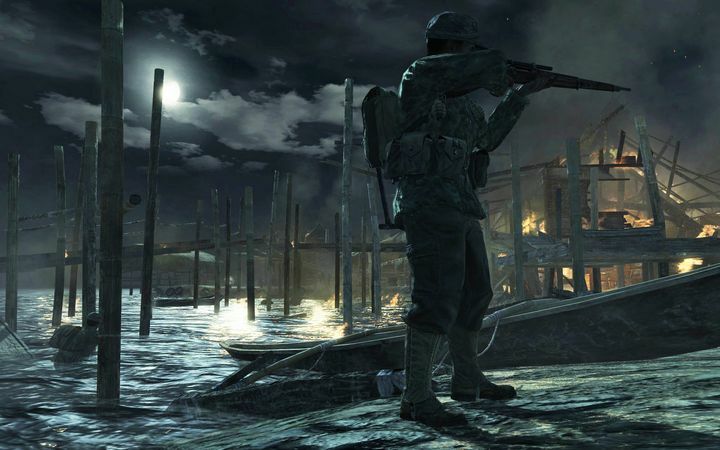 Regarding Activision’s decision of cutting out single player this year, Polygon’s sources claim this is due to the time and effort needed to put together a campaign, with Activision apparently reaching the conclusion it would rather focus on improving the multiplayer side of things, by far the most popular part of Call of Duty to date. This means we’ll likely get better, more in-depth multiplayer and zombies this year, but more excitingly Activision also appears to be working on some form of battle royale mode which is not surprising taking into account how games like PUBG and Fortnite are all the rage right now. However, I would be personally disappointed if the single player campaign was gone for good from Call of Duty though, as the campaigns have featured lots of great moments and action so far, and I’d rather dip my toes in the single player first to get the hang of things in this kind of game before diving into the multiplayer. At least it’s almost a certainty Activision will be putting out a Call of Duty: Modern Warfare 2 remaster this year, meaning Call of Duty fans hungry for a campaign will still get one this year… Nonetheless, it’s still worth taking this latest Call of Duty rumour with a pinch of salt, and wait for Activision’s full reveal of the game before drawing further conclusions here, so stay tuned to this website for more news regarding Call of Duty: Black Ops 4 in the coming weeks. Note: Call of Duty: Black Ops 4 will be released on October 12, 2018. Available on PS4, Xbox One and PC.